A sea slug, like the one used for this research. If you were wondering, “Hey, scientists have done a lot recently, but when are they going to transplant memories like in Westworld?”—we’ve got good news. A team reports that they’ve now transplanted memories between slugs. Well, sorta, kinda. 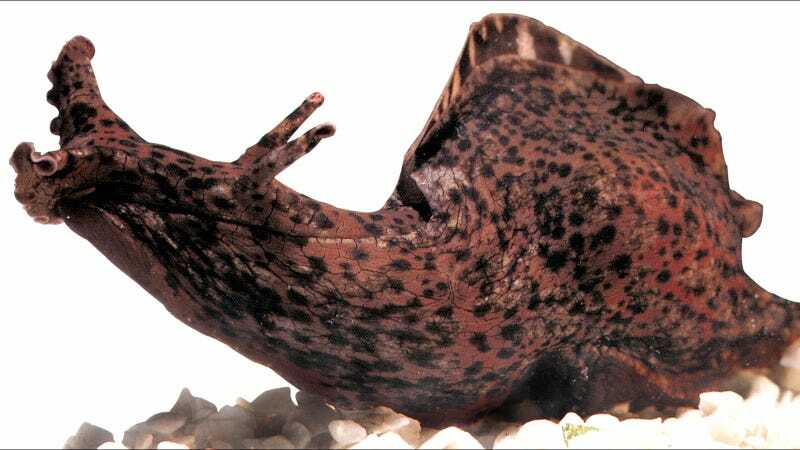 The University of California, Los Angeles researchers gave slight electric shocks bunch of donor slugs, which made those slugs more skittish about being touched. They then transplanted genetic material from those slugs into slugs that had never been shocked. This changed the behavior of the recipient slugs as well: They contracted their siphons in response to a touch for longer periods of time than slugs that had received transplanted genetic material from unshocked donors. The team hopes to one day figure out exactly how our brains physically store memories. Some scientists think that the body stores long-term memories by structural changes in the synapses, the connections between brain cells, according to the new paper published in eNeuro. But others think perhaps the body stores memories inside the brain cells’ genetic material through epigenetic changes. These are changes that reveal or hide parts of the genetic code, rather than alterations to the code itself. By observing the naive slugs withdraw longer only if they received RNA from a shocked host, the researchers felt they’d found evidence that these epigenetic changes were storing memories of the shocks. Note—slugs don’t have brains exactly, but clusters of nerve cells distributed through their bodies. 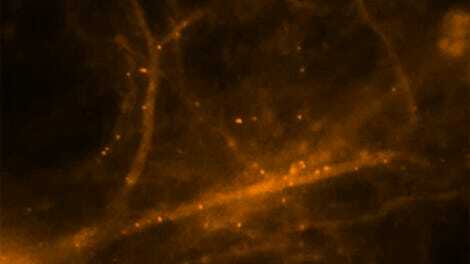 These nerve cells are some of the largest in the animal kingdom. The study’s lead author, David Glanzman, told the BBC that “If memories were stored at synapses, there is no way our experiment would have worked.” His team also noted that neurons in a petri dish fired more if they received an injection of RNA from the shocked slugs than if they received RNA from unshocked slugs. Scientific American reports that, even still, the idea challenges some more widely-held views about how brains store memories. But it’s going to take way more research to establish the importance of epigenetics in long-term memory storage.